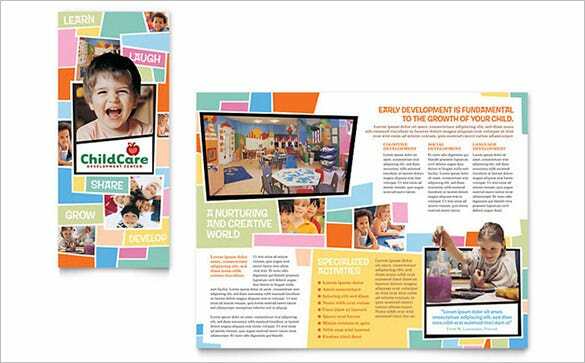 The business owners of childcare product companies may sometimes find it tricky to make effectual marketing policies that will attract the concentration of new parents looking for daycare hub. 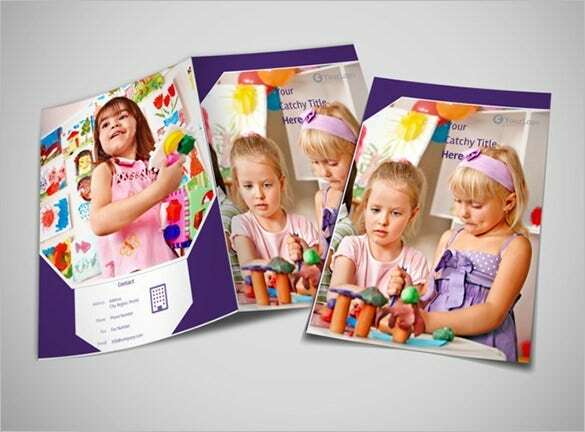 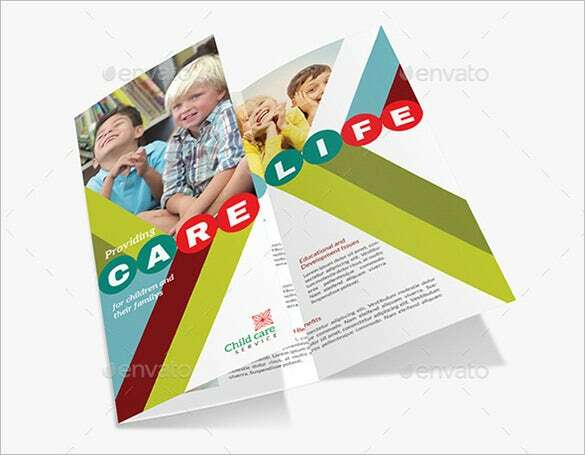 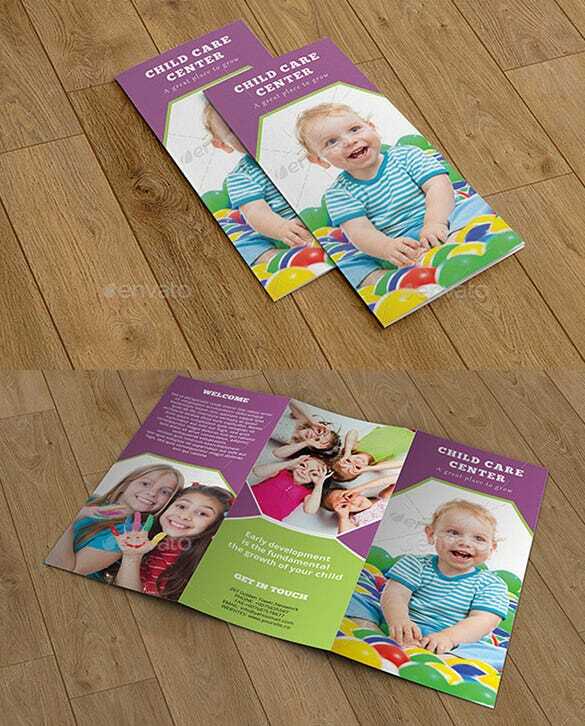 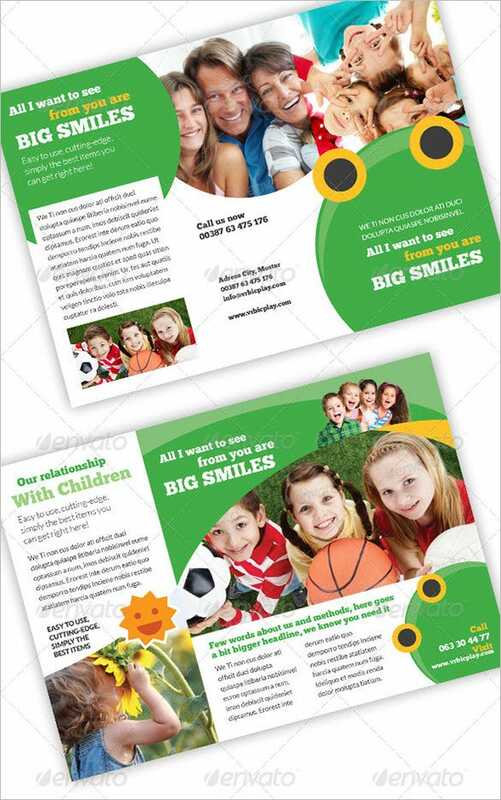 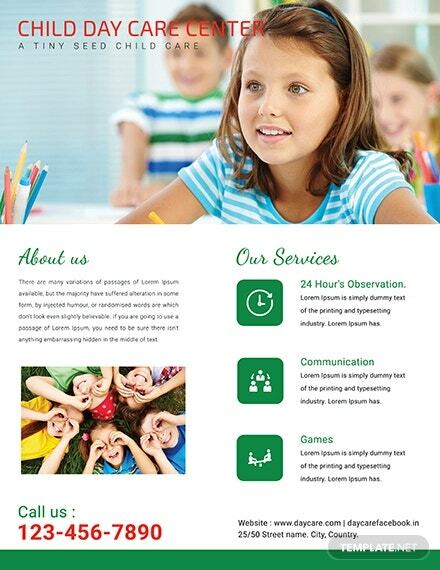 The use of images and graphics in this template for advertising material add charm to the brochure template for childcare. 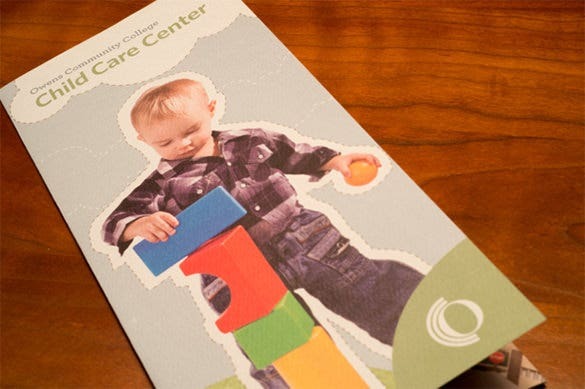 This brochure will help you inform the parents about a good childcare facility center. 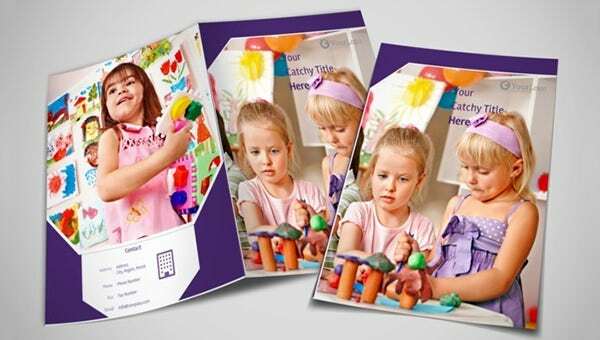 Parents have high expectations about the standard of service that they expect to receive. 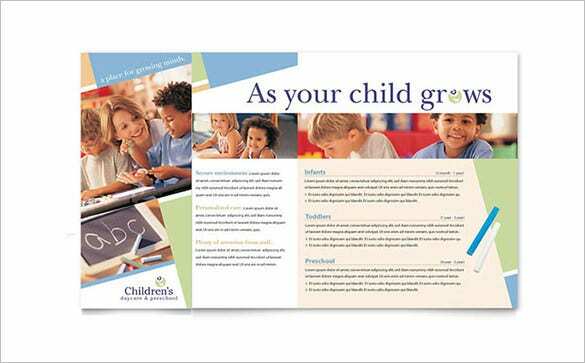 Taking help of theses templates makes convincing parents easier so they choose your center. 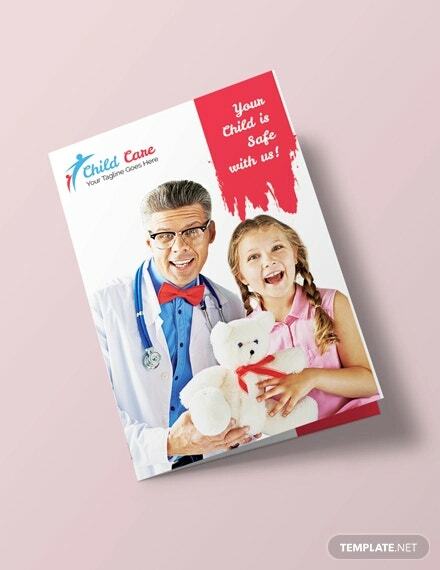 Downloading this template to design and create your logo for childcare service will surely develop the reputation of your service and will improve brand awareness. 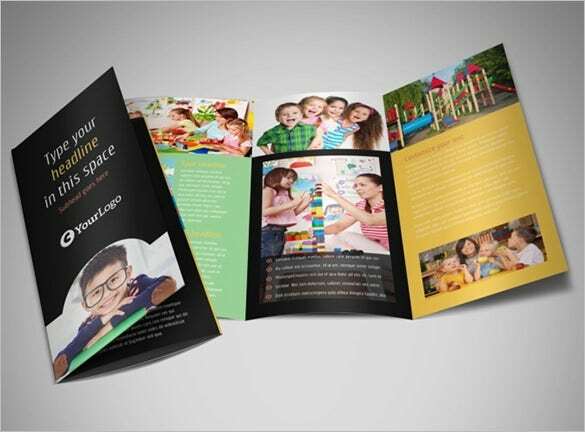 Make sure the whole service appears fabulous, the whole thing must be full of artwork and the front page looks neat and clean. 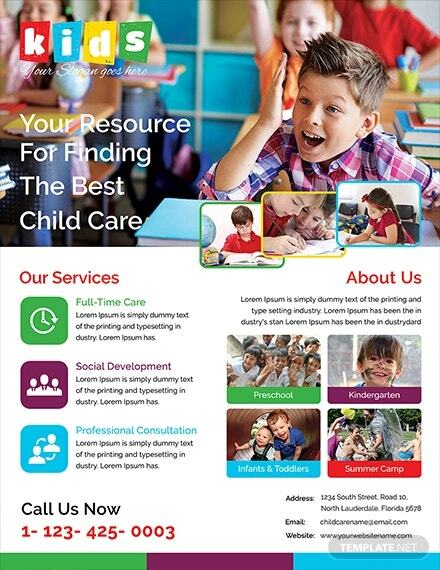 When parents select the childcare business for their children they want developed and professional centers. 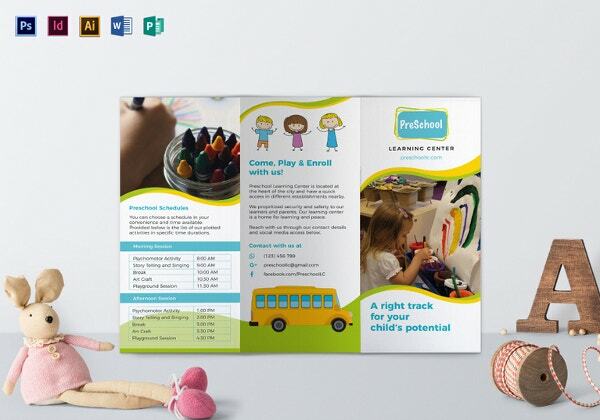 You can download this template to accomplish a wide range of goals. 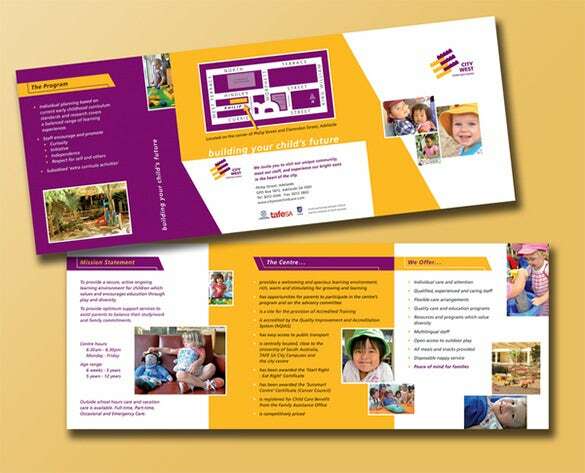 You can use the template or create tri-fold brochures with colorful flamboyance to promote service program of the childcare facility. 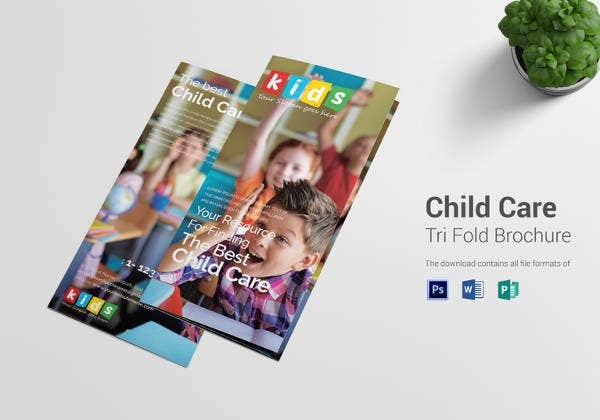 Free child care brochure template is to be made if you are running a child care service so that more and more people get to know about the facilities that you provide. 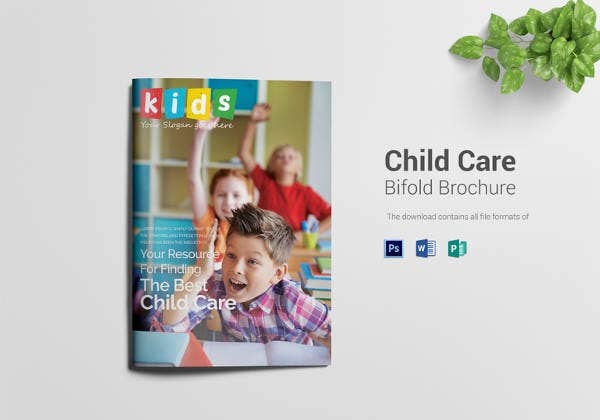 You can mention the details along with the age group of children that you keep.